I will painstakingly explore Jumia Kenya televisions so that you can have all the simple facts. In this guide, I am going to look at several things about televisions for your reading pleasure so that you make a decisive step to owning one. Jumia lists so many televisions on its website that it may take time to each TV set one by one. So I am going to do this, explore these pages for you and let you know how to go about this. Over the years, the television has changed a great deal. From the old black and white to CTR (Cathode Ray Tube) television to now ultra-thin televisions. Keep in mind that technology changes very first hence the need to move with the current market treads. This post is going to be a bit long, so grab a cup of coffee and let us do this. 1. What brand should I buy? I wrote a post on what to consider when buying laptops on Jumia, and in that post I emphasized that, I go for brand more than anything else. I have not changed a bit even on this. It might be different for your case but for me, brand is everything. I am not here to convince you to buy a particular brand. The choice remains yours. However, it would just fine to explore what is on offer on Jumia. I fired up Jumia and I discovered that there are so many brands to choose from. Here the brands I managed to pull out. I must admit that this list is long and intimidating. So where do you begin from when choosing what to take home? If money is not an issue, then go for top brands such as Sumsung, LG, Sony and Hisense. Note that televisions from these manufactures are expensive. You can also consider other brands that are gaining traction in Kenya such as TCL and Skyworth if you do not have much to spend. If I were you, I would avoid anything that is generic. 2. Is it digital or analogue? We live in a digital world and everything is going digital. This a very important aspect to consider when buying a television. There are two types of Jumia Kenya televisions out there. We have analog and digital. Currently analog televisions are useless unless you have decoders such as those from GoTv and Star times. If you going to buy such a TV, be ready to invest in a free to air decoder or subscriber to those you pay for. At any given time, I cannot waste money on an analog TV; current times do not allow. So you shouldn’t waste your money too. Go for a digital TVs, they have the advantage of coming with an inbuilt decoder. Smart TVs have the capabilities of being connected to the internet; this makes it the best option if you have the cash to splash out. 3. What screen size is ideal for me? The most bought screen size is the 32’’ TV. That does not mean that it is the best. Most probably, it is because it is not too small and neither is it very expensive. I have seen on Jumia other TV screen sizes ranging from 17’’ to 85’’. I love large screens, it give me the real life experience. For you, go for something that you will be proud of. But hey, what is actually the ideal television size? It may not be as you think. To find the Ideal TVs size, do the following. Find the distance you are going to sit from you TV in inches. Divide this by 3. The value you get is the right size of the TV for your room. For example, let’s say you will be sitting 8 feet away from your TV. Multiply this by 12 you get 96. If you divide this by 3, you get 32. This means that your ideal TV screen size is actually 32”. You may also want to ask yourself, do I need a flat screen or a curved screen? Go for whatever you feel is ideal. There is so much hype about curved TVs, but honestly speaking, they ain’t that better than your typical flat TV. 4. Does it come with a sale warranty? TVs are very delicate and like any other electronic, things can go south very fast when handled inappropriately. In this regard, warrants are very important. Check whether there is a sale warranty to cover you for at least a year. It is common practice to not buy a TV without a sale warrant. 5. Are there offers that I can take advantage of? Should you be considering buying any of the Jumia Kenya televisions, then be on the lookout for promotions. Because during such promotions, television sets can be damn cheap. This saves you from breaking the bank. Besides, with a good sum of money you can get yourself a very good television set. Be on the lookout for offers such as the Electroshock week, TV mania, Black Friday, Flash sales and Holiday sales. 6. What is the sale price and how will it be delivered? This is the most important factor to consider before venturing out to get yourself a TV set. With Ksh. 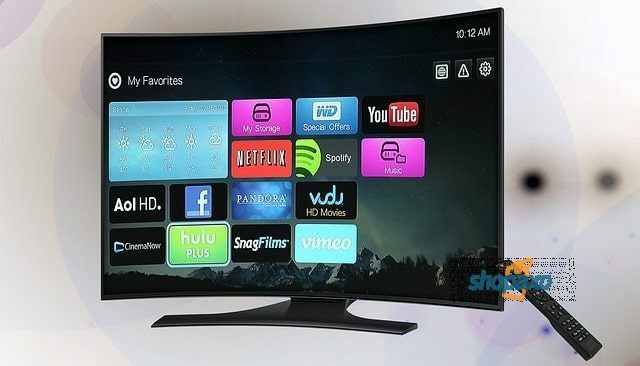 30000.00, you can get yourself a 32’’ smart TV from top manufactures such as Samsung, LG and Sony. If you have a fat pocket, you have very good TVs at your disposal. Being a very delicate electronic, delivery can be a tricky affair. I prefer that such items be shipped to my doorstep. It saves me the transport headache. When committing yourself to buy, it would be advisable to have it delivered to your doorstep. 7. What Audio and TV accessories do I need? You will need some other accessories to really enjoy your viewing experience. Home theaters, DVDs will enhance your viewing experience. TV mounts or brackets will not only make your viewing better but also make your television safe. Buying a TV set may be a very tricky venture. There are very many Jumia Kenya Televisions to buy from; this could cause you many problems. With the several questions answered, I have helped you trim your search. One more thing, you can also check the seller score and the buyer rating to make a final decision on what Jumia Kenya televisions to buy. Lastly, do you have the ideal TV size in your room? Do the math and let me know if you do. Previous articleJumia Laptops-5 things nobody told you.